Is There a Field Sobriety Marijuana DUI Test? Police officers in Arizona can ask you to do a field sobriety test if you get pulled over and there are suspicions of driving under the influence. 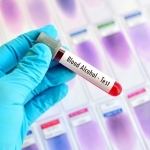 These tests are used to determine whether you’ve consumed alcohol. You have the right to refuse doing a test – a fact that makes field sobriety testing different from BAC tests. 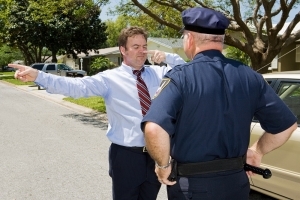 Field sobriety tests are commonly linked to the use of alcohol and its effect on the body. Being under the influence, however, isn’t strictly linked to alcohol consumption. Can standard field sobriety tests in Arizona be used to detect drugs like marijuana? If not, are there alternative tests administered to detect a drug-related lack of sobriety? Can a Field Sobriety Test Detect Marijuana Use? Standard field sobriety tests are created to examine fine motor skills and decision making. Thus, they will focus on balance, reactions, coordination and a thorough assessment of an individual’s mental state. There could also be psychological tests administered on the spot. Being asked to recite the alphabet (or recite the alphabet backward) is a viable option. Variations of this test could be difficult to perform even by sober people, which is why field sobriety testing can be so troublesome. The problem with attempting to test for marijuana use is that the effects will vary greatly from one person to another. Additional factors will also have to be taken in consideration. When people get pulled over by the police, they will be nervous. Such nervousness can affect the results of a field sobriety test, even if an individual has not used drugs and alcohol. There is a pressing need for the development of effective marijuana detection tests. After alcohol, marijuana is the second most common substance contributing to DUIs. A national US survey suggests that 10 million people have driven under the influence of illicit drugs at least once on an annual basis. The only reliable way to detect marijuana use involves a blood test. Special swabs are being developed to test for THC in the saliva of a person. Such tests, however, aren’t 100 percent reliable and they don’t always pinpoint actual impairment. One very important thing to keep in mind that traces of marijuana can linger in the blood long after the use. Thus, even if a person isn’t impaired on the road, a blood test could still be positive for marijuana. How Can a Police Officer Tell if You’ve Used Marijuana? Standard field sobriety tests aren’t the most effective way to pinpoint marijuana impairment but you have to be aware of the fact that an Arizona police officer will be very observant from the time they pull you over. Before you stop the car, erratic behavior, swerving and speeding may be noted. Police officer observation will be focused on your response and its adequacy and they’ll also pay attention to whether the car smells of marijuana. People who have used marijuana may be slow when they speak, their eyes could be reddened or glossy. These facts, alongside the results of a field sobriety test could provide sufficient probable cause for an arrest. Once a person is taken in custody, they’ll be asked to do a breathalyzer or a blood test. These will provide more accurate information about impairment and what substance it is caused by. Agreeing to do a field sobriety test and failing doesn’t mean you’ll be charged with driving under the influence of marijuana. 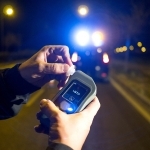 Experienced Arizona DUI lawyers can challenge the results of field sobriety testing. 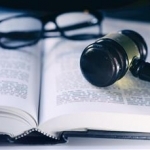 Nervousness on your behalf, a medical condition or improper instruction provided by the police officer could all contribute to apparent signs of impairment. Proving DUI on the basis of field sobriety testing is difficult because of the unreliable nature of these standardized procedures. 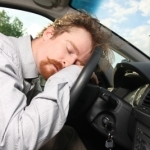 Click here for an over of marijuana DUI laws in Arizona. 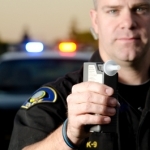 Can You Refuse a Breathalyzer in Arizona?